None of us like being bitten by mosquitoes and sometimes it’s easy to forget that our pets also suffer from mosquito bites. Mosquitoes feed on blood, and they will take it where they can find it. Only females bite, males feed on plant nectar. While the female may have preferred hosts, she must have blood proteins to produce eggs. And, a blood meal is often insufficient to produce a brood of eggs. Often, the female feeds, rests to digest the meal and feeds up to three times before she can get enough protein to produce her eggs. So whenever your pet is out in the mosquito territory, he is a seated target for a hungry female mosquito that is eager to reproduce. 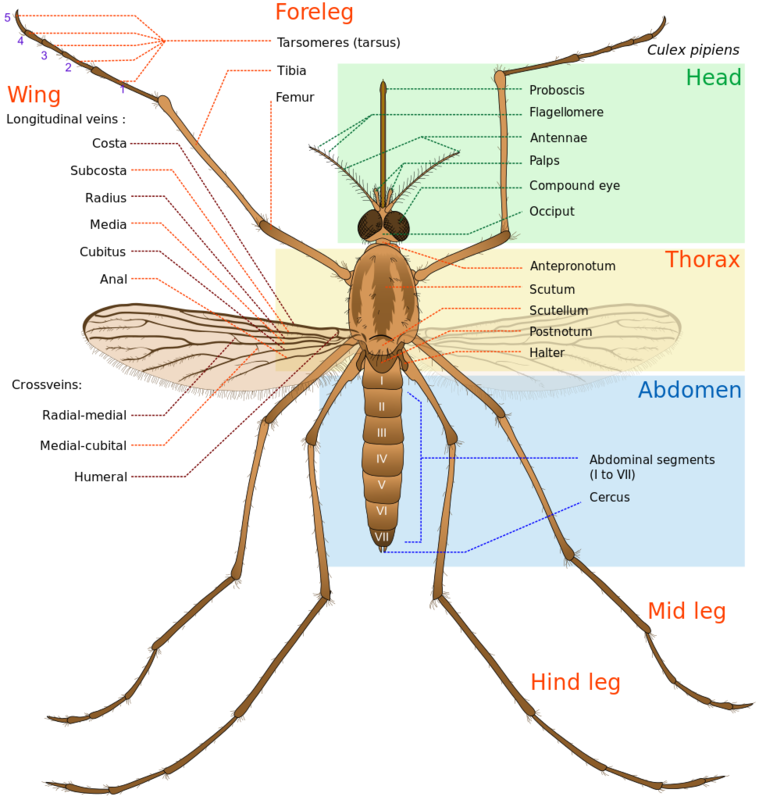 Many mosquito species will choose birds rather than humans or typical household pets, but they are even known to feed on frogs and other reptiles, if that’s what they can find for a blood meal. Most pet owners are aware of the dangers of mosquito bites associated with heartworm disease in cats and dogs. 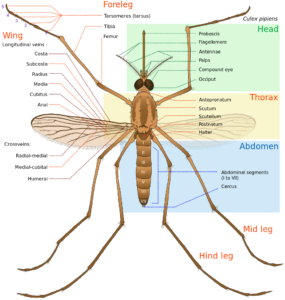 Mosquitoes carry larvae of parasites, which they transmit to the animal once they bite. The larvae of the parasite then migrate to the heart and the main circulatory organs of your pet, where it grows into an adult worm that can grow to ten inches in length. The problem with heartworms is that they can take several years to become an adult, which then can cause symptoms in your cat or dog. By the time the symptoms develop, the treatment is long and difficult. Sometimes the owner of the animal does not know the problem until the animal dies unexpectedly, a tragic end that is very preventable. Heartworm protection is as easy as a trip to your vet. Many effective drugs, which are administered orally, can prevent the development of larvae, if an infected mosquito bites your pet. The biggest failure of these medications is the fault of the pet owner. They must be faithfully administered once a month without interruption of treatment. And, just because it seems the mosquito season is at bay, do not fall and forget to give your pet a dose. Many mosquitoes winter in protected areas and wake up ready to bite long before you expect them. Fortunately, it is now possible to get a shot for your pet that will protect against heartworms for six months. Even diligent and caring pet owners can sometimes forget the narrow window of opportunity for oral drug delivery. This new promotion will save you and your pet the risky consequences of these failures. Now, pet owners are even more concerned about mosquito bites to their pets. Although rare, West Nile virus has been reported in dogs and cats. There are very few reported cases of animal deaths in dogs and cats, but the risk still exists. Instead, most of the time, the animal can be positive for the virus, without having any symptoms. If your pet has West Nile virus, it may have the following symptoms: fever, depression or lethargy, muscle weakness or spasms, impaired coordination, convulsions or paralysis. If your pet has these symptoms, consult your veterinarian immediately. Owners of birds and horses should be much more concerned. West Nile virus is mainly fatal for many bird species. Crows, for example, are very sensitive to fatal cases. Sparrows, on the other hand, contract easily but show no symptoms. And migratory birds like sparrows contribute to the spread of the virus because they are very mobile. Among the birds that are kept as pets, parrots, cockatoos and parakeets are most at risk. The risk factor is lower because they are rarely outside. If your house is well sealed and has good screens, these animals should be easily protected if kept indoors. Horse owners are now able to protect their horses with a very effective vaccine. Horses are particularly susceptible to mosquito-borne viruses and it is difficult to keep them away from outside exposure, even in barns and stables. No vaccine exists for small animals. The same thing that protects you against mosquito diseases also protects your pets. Prevention! Protect everywhere from the house and yard by making sure mosquitoes do not have a place to breed. Avoid leaving water in containers such as buckets, birdbaths, pet bowls, rain gutters, storm drains, and plant saucers. Many mosquitoes only need ¼ cup of water to reproduce. The FDA has always advised keeping your pet indoors at dawn and dusk, as this is where many species of mosquitoes feed. This advice is no longer enough to protect your pet. The Asian tiger mosquito is an aggressor today. It was imported to the United States in 1985 and is now in 30 states. It carries both West Nile virus and heartworm parasites. Do not use mosquito repellents designed for humans on pets! Instead, get rid of all possible breeding sites and also get a good pet repellent. Anti-mosquito repellents designed for humans should not be used on pets. Never put any pet repellant that is not free from DEET. Instead, obtain a repellent that is made for veterinary use and apply only as directed. 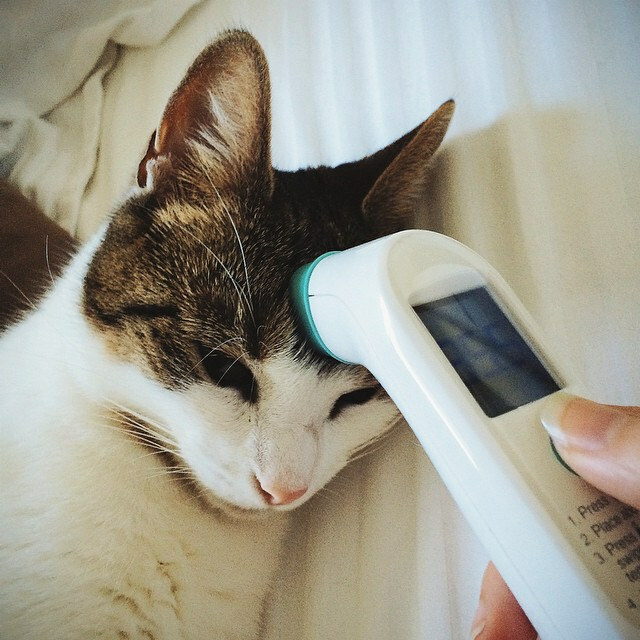 With your pets, you must assume that they can lick the treated areas and you can not afford to take a chance that the repellent can be toxic to them. For example, tea tree oil is a good repellent against mosquitoes for humans, but it has been fatal for some cats that licked their fur. And, think about getting a propane mosquito trap to reduce mosquito populations in your garden. They are very effective, although expensive, but actually kill hundreds of mosquitoes if used according to the manufacturer’s directions. Over time, these devices can effectively decrease mosquito populations. Mosquitoes are here to stay. Our best defense for our pets is how to avoid them, and how to keep our pets safe using the latest scientific advances. And, many things we do to protect our pets from mosquito-borne diseases are good for us too.